Australia’s pretty huge. And we at Envirobank, strongly believe that everyone should be given the chance to claim their 10c refunds. So we set up our pop-up collection service up and down our beautiful coastline. 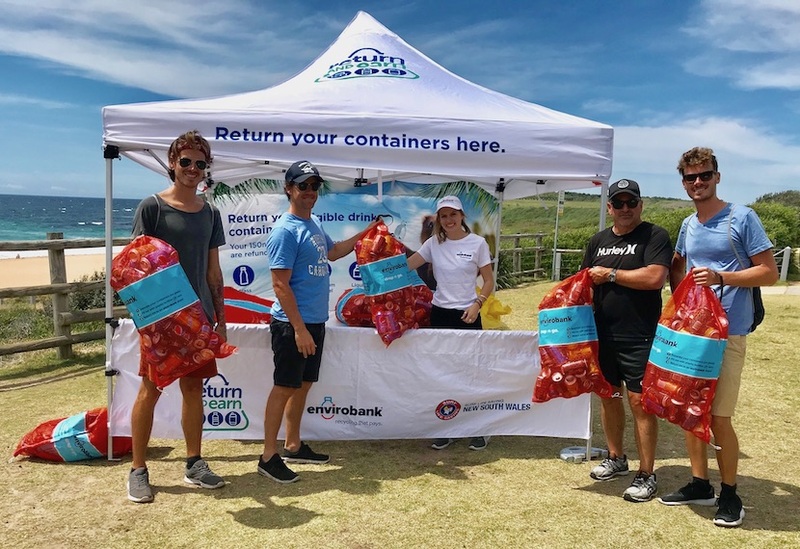 Operating at over 20 surf clubs across New South Wales, for a few hours every weekend, Envirobank sets up a collection tent and invites the community to trade in their eligible containers. Round up your eligible bottles and cans, and pack them into boxes or reusable bags. Make sure they have the 10c label. We’ll be giving away our reusable orange collection bags at our pop-ups so make sure you pick some up! Bring the containers to your next local pop-up collection. Our team will confirm how many eligible containers you have. We can accept up to 1000 containers per person at pop-up collections. For larger volumes please take them to our automated depot. Get paid through our rewards portal, Crunch. We can set you up with a membership card at the collection (it’s easy). Through Crunch, you can access your 10c refunds via PayPal, as well as a whole lot of other awesome rewards. *Please note: for security reasons, cash payment is only available for deposits of 100 containers or less. 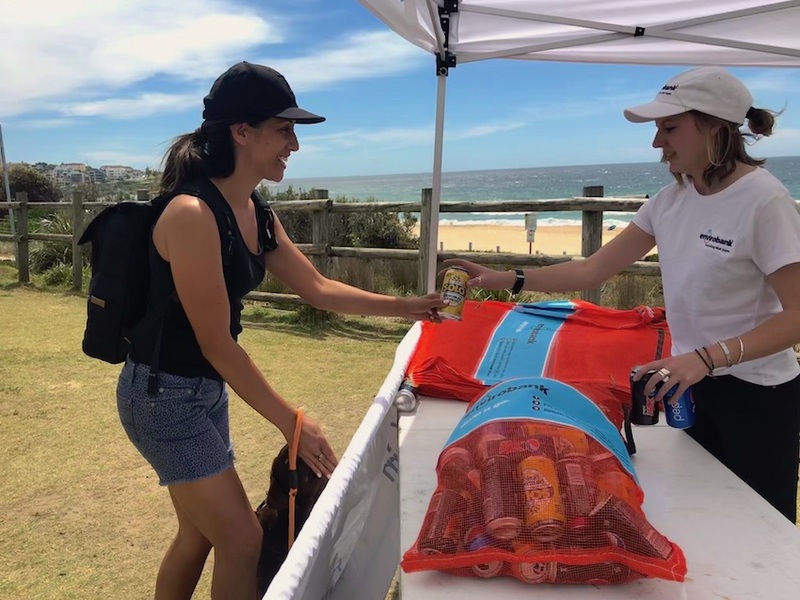 Check the map to find your closest pop-up collection location, or to find other Envirobank locations near you.